List of Medical Colleges In Haryana Total MBBS BDS Seats: Central Board of Secondary Education, Delhi will announce the NEET UG 2018 Result on 5th June 2018 on their official website. After the result declaration, Medical Counselling Committee (MCC) will conduct counselling for MBBS and BDS admission. Lakh of candidates appeared in NEET UG 2018 Exam. Now all those candidates are eagerly waiting for their result. All successful candidates will be called for the counselling registration on the basis of their ranks. The cutoff marks for all categories will be available on the official website of CBSE NEET. In this article, We have listed all medical colleges situated in Bihar state. So, if you are thinking to take admission in Bihar state through NEET Counselling 2018 then this list will be very helpful for you. Gold Field Institute of Medical Sciences & Research, Ballabgarh, Faridabad PT. B.D. Sharma University of Health Sciences, Rohtak Trust 2011 100 Permitted for renewal of permission u/s 10(A) for 2012-13. Pt. B D Sharma Postgraduate Institute of Medical Sciences, Rohtak (Haryana) Maharshi Dayanand University, Rohtak Govt. 1960 200 Recognized for 150 seats.Permitted for renewal of Permission for increase of seats from 150 to 200 for 2012-2013. Shree Guru Gobind Singh Tricentenary Medical College, Gurgaon PT. B.D. Sharma University of Health Sciences, Rohtak Trust 2010 100 Permitted for renewal of permission for the year 2012-13.
when will haryana state open its MBBS registration portal 2016?? Keep in touch, we will update here soon. we want to published a Guest Post on your website. 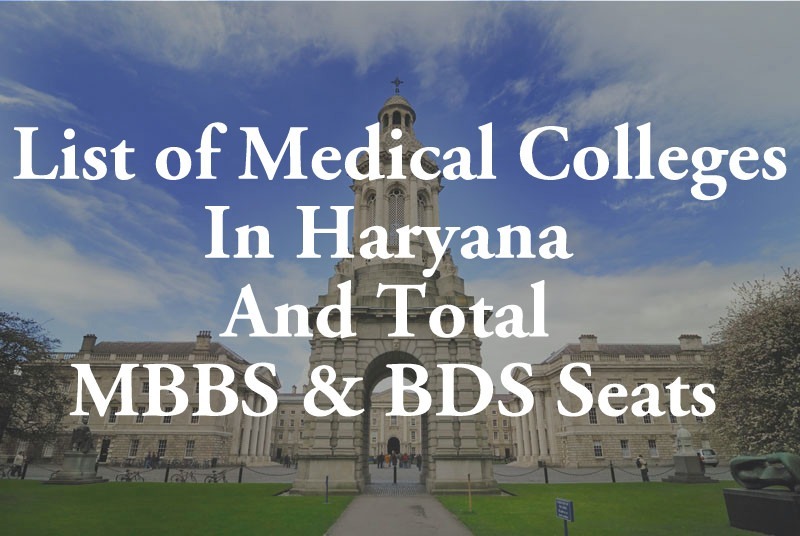 How many seat in haryana MBBS and BDS at government med college and pvt college. i wanna know that how much marks are required by a sc candidate having haryana domicile for admission in govt. medical college in haryana. Date for counselling in Haryana for MBBS 2017? Is pgims rhotak send sms or call to invite candidates to attend consuelling for haryana mbbs and bds admission? PGIMS Rohtak not sent any message. Regn for counselling has closed on 18th Jul’17.